Retribution of Cyryst: Tokyo Journeyman League, stage 2. Nayl, Thug Lyfe. Tokyo Journeyman League, stage 2. Nayl, Thug Lyfe. As we advance into the second stage of the journeyman league the first thing to note is; I still only get 2 points for a win or a loss. Secondly there are over 60 players now, which is some kind of PP record. Because I am being actively discouraged to win I spent some time deciding where I will spend the 4 points for my army. Obvious choices were Arcanists, eEyriss, Magisters, Mage Hunter Assassins or even Ghost Snipers. So far I had found the high armor stuff a real pain to deal with and figured a pair of Ghost Snipers would go a long way to softening the heavy stuff up before I engage. I dont care about winning. Apparently. 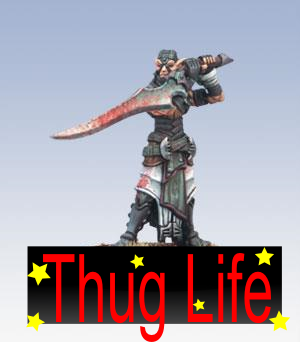 So I took Nayl, because... because thug life. Oh and Sylys Wyshnalyr, because he actually is good. Now despite having this massive noob crushing power piece I still managed to lose. Thankfully despite Nayl not because of him. 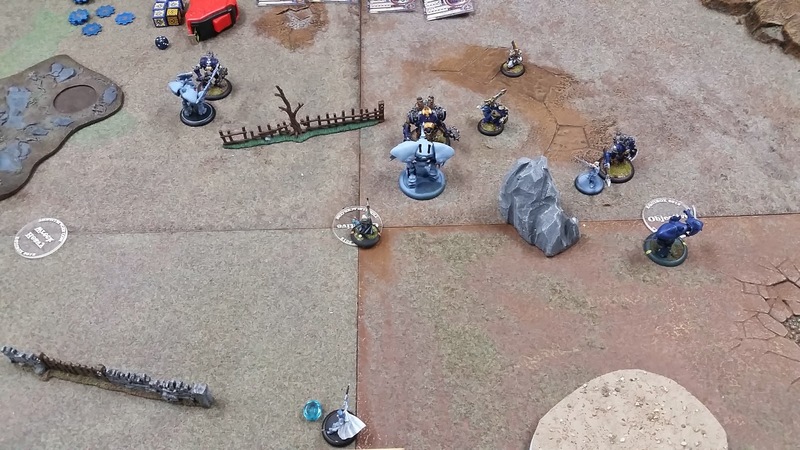 Here Nayl on the far right has just dispatched a Gunmage Captain and is sitting comfortably close enough to strip fury from his caster and jacks if he dies. My opponent didnt read his card properly, activated in the wrong order and wasted 5 focus that Nayl removed when he died. RESULT: Still lost cause 1. The griffon on the right spent 3 turns molesting the light jack, like a pedo on the Tokyo subway, (with full focus investment) rather than killing it. 2. The Manticore also spent 3 turns with full focus investment trying to kill the heavy jack. 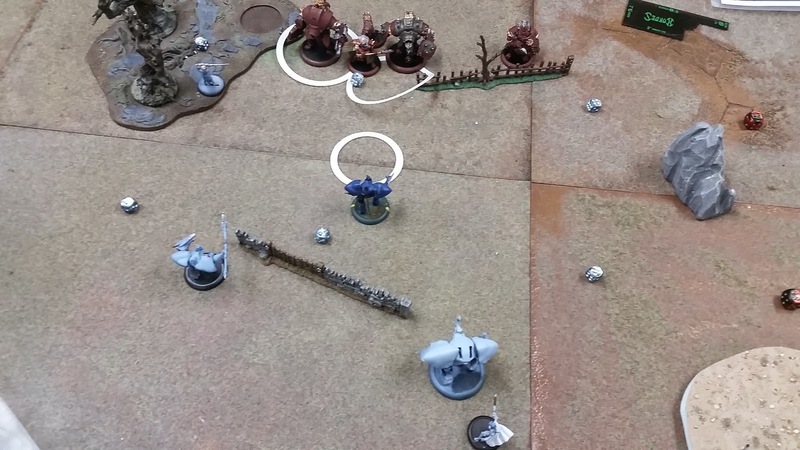 Here Nayl sits in the woods while Kae peppers Butchers front line with Rifts. This time my opponent did read the card, so his responce was to ignore him. So Nayl went and stuck the pointy end into Butchers dog. To which Butcher continued to ignore him. Ignore him some more, and kill a heavy. Day in the life of Butcher. 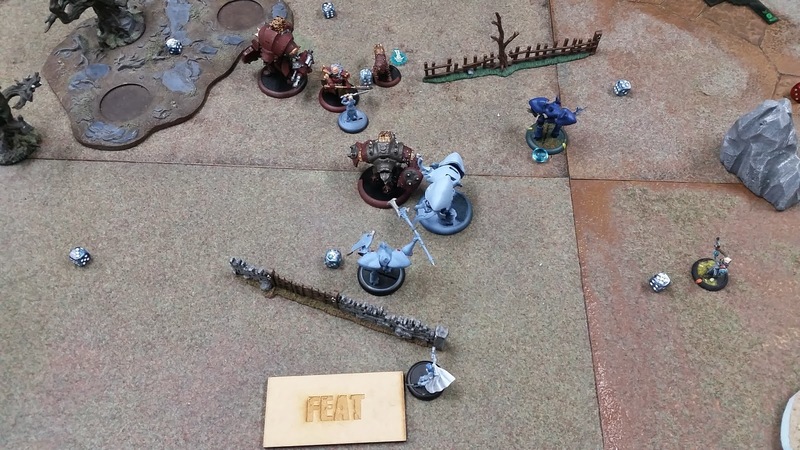 Kae ended up killing Butcher with about 9 shots over 3 turns. 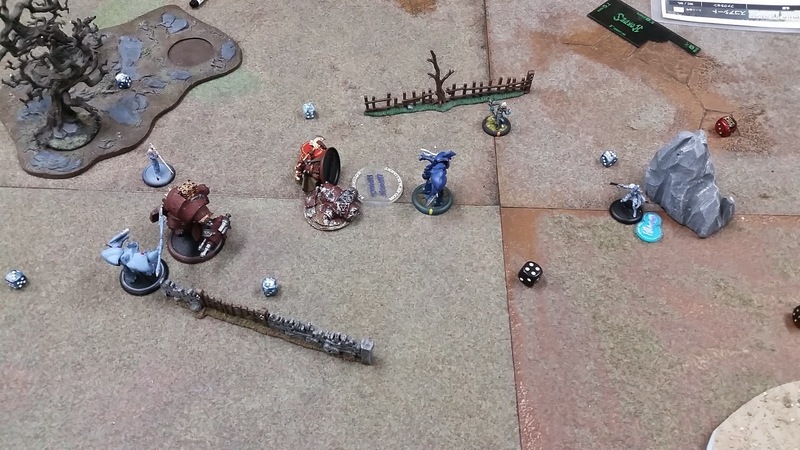 Nayl did nothing but kill the wardog with a free strike (2 point over costed model for a 1 point under costed model) not really but something like that, and failed to hurt Butcher with a couple of free strikes. I like your Feat token thingy. Will pour one out for our absent homies at Ides next weekend. All of my old Ides kit, templates, feat marker, measuring stick with 4 2 and 6 inch distances and all of the 1" movement chits get great attention, use and envy. Very useful, thanks Dave and others who provide that free awesome stuff.